Just Prove it. Spectroquant® Prove 600. Augmented Reality: innovative, intuitive, intelligent. 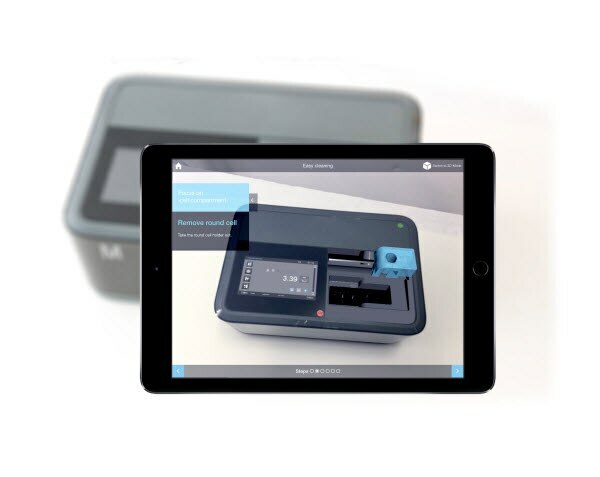 Try out our world-wide innovation: the Spectroquant® Prove 600 Augmented Reality Application! Our Augmented Reality Application will guide you through some of the highlights of our newest spectrophotometer, the Spectroquant® Prove 600. Don´t miss the surprise when pointing the camera at our brochure in “virtual try-on”. 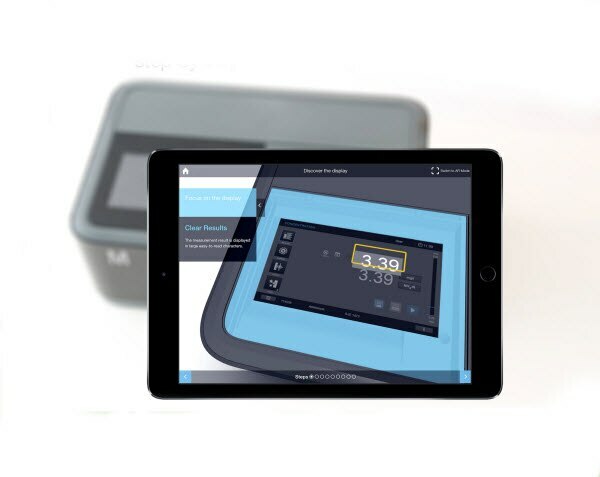 Innovative: Just point the tablet at the device, the tablet’s integrated camera captures the spectrophotometer and tracks it, then Augmented Reality superimposes visuals and 3D-animations and guides users intuitively through complex operation tasks. Intelligent: The app demonstrates the high potential of Augmented Reality in the context of ›Industry 4.0‹ - where environments and objects are permanently matched & aligned to 3D-simulations. iOS is a trademark of Cisco Technology Inc.